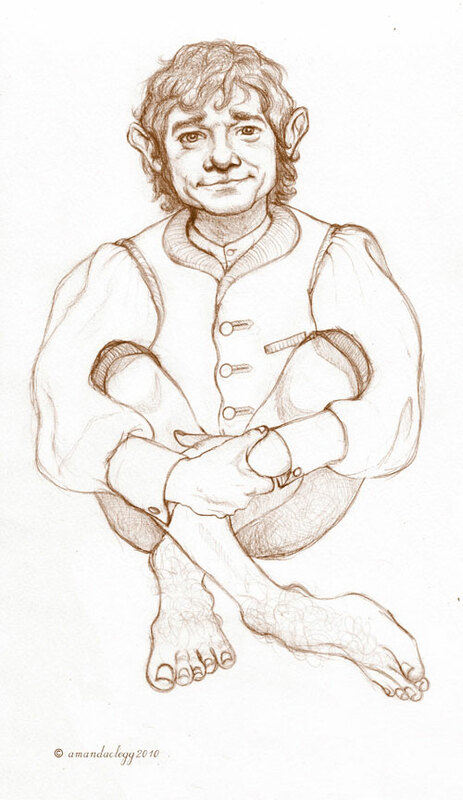 I drew this sketch of Martin Freeman as Bilbo back in 2010 as soon as I heard he was to play him in The Hobbit. I was looking forward to seeing how accurate my premonition had been. Not too far off actually!